In medieval times a fugitive from the law could seek sanctuary in a church. If the outlaw could reach a metal ring on the church door they could claim sanctuary and under law they would remain free from prosecution for a period of time, usually 40 days. 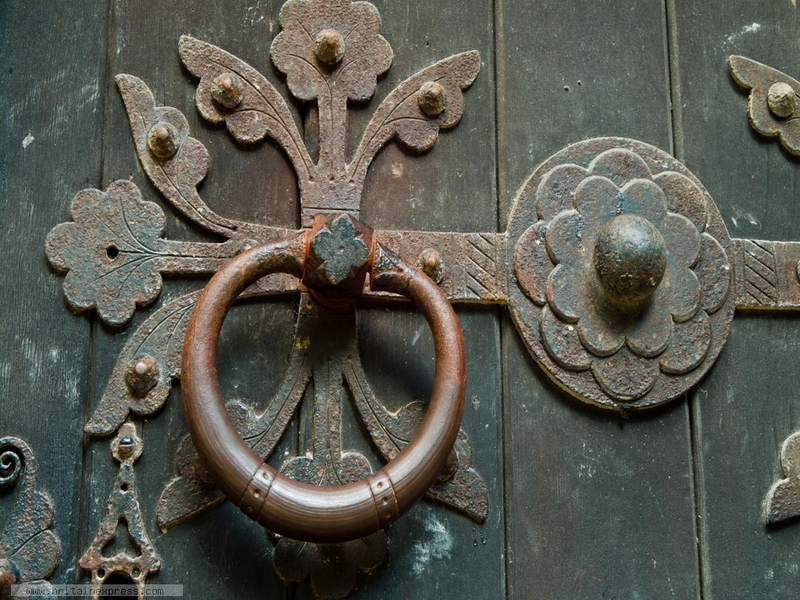 The most famous sanctuary knocker is at Durham Cathedral, but many smaller churches still retain their original iron rings. This example is on the south door of St Peter's church in Hampton Lucy, Warwickshire.